If you are staring your journey or holy trip to Badrinath Dham from Haridwar & Rishikesh, it generally takes 3 Days and 2 Nights, in which you can stay in Badrinath Dham for one day and also do the evening pray at the Badrinath temple. The Opening Date of Badrinath Dham for 2019 is 10th May 2019,which is about 3 months from now. So if you are making a Holy trip to Badrinath Dham for this year, you can visit the Dham after 10th May. The temperature of the Badrinath Dham is approx below 20 for that time and you can keep some warm clothes during your visit to Badrinath Dham. Day 1: Start your trip from Haridwar or Rishikesh at around 6-7 Am morning and you will reach to Badrinath Dham at evening around 6-7 Pm, because it will hill roads and will take around 12 Hours from Haridwar or Rishikesh. Day 2: Next day you can visit Badrinath Dham temple, Mana Village and the last tea stall of the India at northern border of India. 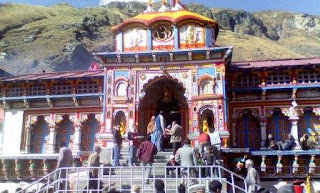 The places near Badrinath Dham are beautiful and amazing, so you can spend you day time there and at afternoon you can drive to Joshimath or Pipalkoti and stay their for overnight. Day 3: Joshimath/ Pipalkoti to Rishikesh/ Haridwar. In this day you can visit the Panch Prayags in day time and also take pictures of mountains and Hills.